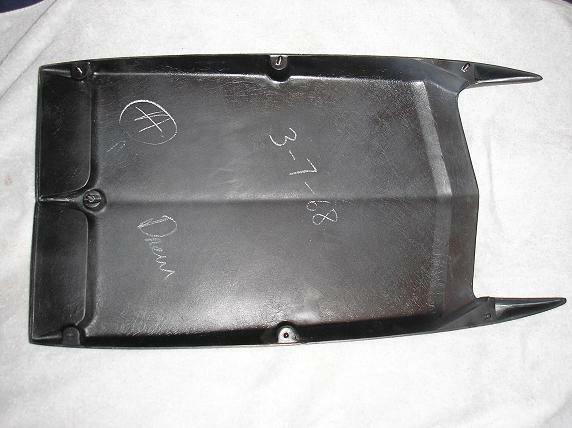 Ford identified the functional fiberglass hood scoop used on 1968 Mustangs using basic part number 16C630. The 1975 Master Parts Catalog identifies the 1968 hood scoop using service part number C8ZZ-16C630-A. 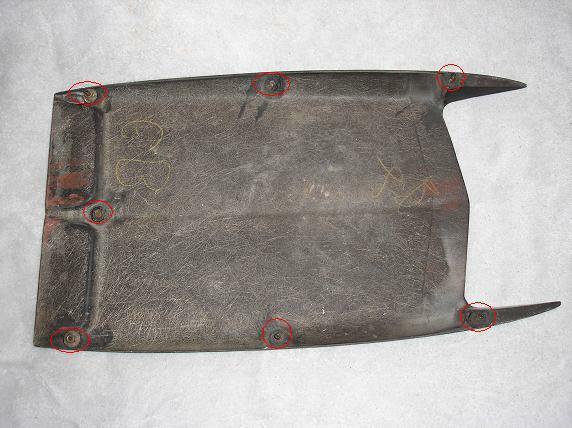 Based on parts found "in the wild" it appears that at least three different hood scoops were used on 1968 Mustangs over the course of model year production. The last version was itself replaced by Ford with the 1969-1970 version (identified by service part number C9ZZ-16C630-C) as of March 1974. 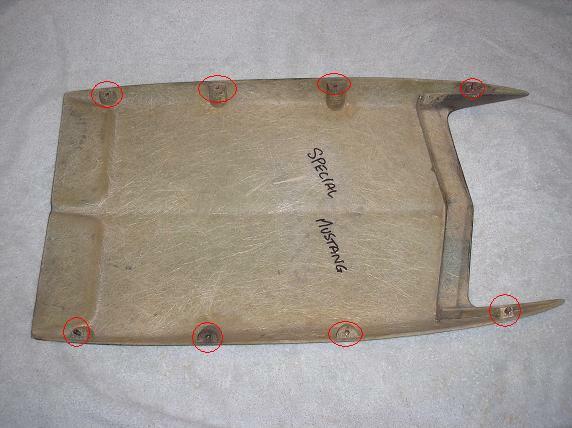 Version 1 (found on 8F02R135034, scheduled for build on December 30, 1967): Yellow-colored, press-molded fiberglass, 4 studs down each side, no rear stud. Version 2 (found on 8F02R190511, scheduled for build on May 8, 1968): Black-colored, press-molded fiberglass, 3 studs down each side, one centered rear stud. Compared to the version 3 scoop, this one has thicker front ears, a ledge on the top opening, and a small lip across the back. 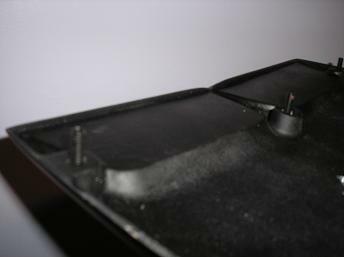 Version 3 (found on 8F02R217350, scheduled for build on July 12, 1968): Black-colored, press-molded fiberglass, 3 studs down each side, one centered rear stud. Compared to the version 2 scoop, this one has slimmer, tapered front ears, no ledge on the top opening, and no lip across the back. I've also seen a picture of what appears to be a version 2 scoop found on 8F02R214076, scheduled to be built on 11 July and actually built on 12 July. 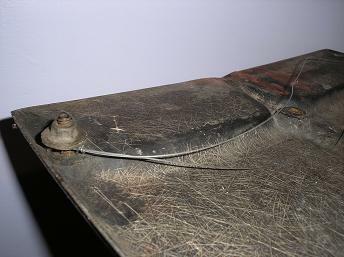 1968 Hood Scoop, Version 2. Compared to the version 3 scoop below, this one has thicker front ears, a ledge on the front opening, and a small lip across the back. 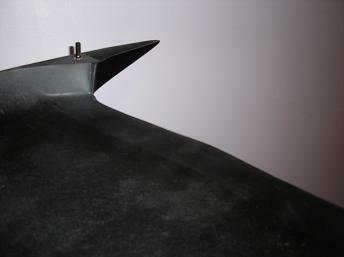 1968 Hood Scoop, Version 3. Compared to the version 2 scoop above, this one has slimmer, tapered front ears, no ledge on the front opening, and no lip across the back. 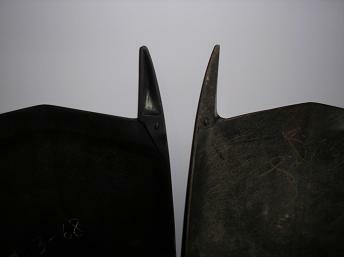 The Version 1 scoop is shaped similarly to the Version 2 scoop, though the material used and the stud locations are definitely different. Note that there are no molded-in engineering numbers on these scoops. 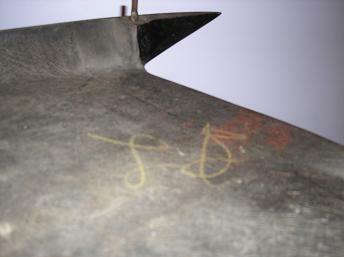 The visible markings on the first two scoops are reproduced from original markings. The markings on the third are thought to be original. Thanks to Chris Simon for the pictures used here.